Beer culture moves fast. Fast like Usain Bolt, assuming he overcomes that hammy. OK, that simile is strained (also like a hamstring? Look, we're just stoked about the Olympics.). Point is, in the interest of giving you all the up-to-date beer news that's fit to drink, we teamed up with Beer Street Journal -- the CNN of beer news -- to give you the 10 biggest stories in beer of June 2016. 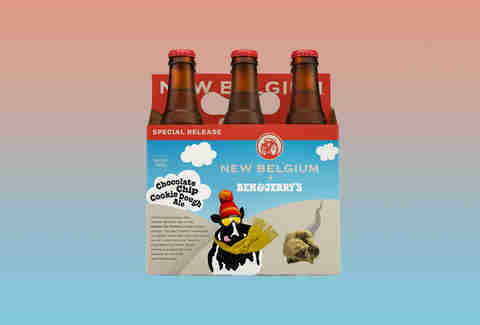 From Ben & Jerry's cookie dough beer to Dogfish in cans, here are the biggest stories of the last 30 days. 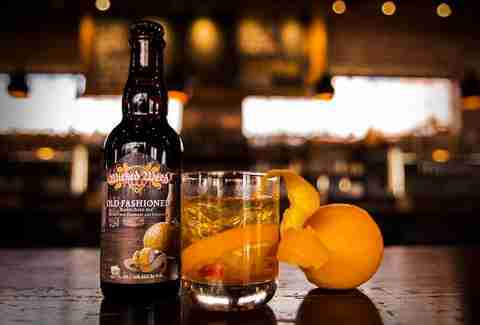 An idea so good, we're not sure how more breweries haven't done it before: Wicked Weed made a KY bourbon barrel-aged beer with oranges and cherries. It's in limited distribution, so fingers crossed your beer shop has some in stock so you can stop just pouring beer in your cocktail. Holland, MI's favorite brewery has been brewing Dragon's Milk for years, and it's long been a favorite of imperial-stout lovers. Now the brewery's gone and added MI raspberries and lemon zest to give it some summer vibes. With Game of Thrones on hiatus, it's the best thing you can consume with dragons involved this summer. Wicked Weed isn't the only Asheville, NC brewery doing big things: Highland throws "400 pounds per fermenter" of CA oranges into the mix to make its crowd-pleasing IPA. And now it's in 12oz cans all year long. Get a close-up of the new bottle design at Beer Street Journal, and get the full scoop (!!) on the beer from us, too. This should lead to at least a few more chubby hubbies. Because New Belgium is far from the only newsworthy CO-based brewery, Avery announced its new sea salt/lime sour El Gose -- which has a flavor profile scarily similar to a margarita -- will be released mid-July. One of Cali's old-school breweries is finally entering the canning game with a hop-forward beer the brewery doesn't seem to want to label an IPA. What it is called is the 12th of Never, and considering Lagunitas' track record, we're guessing it's damn good. Wait, now Dogfish is canning too?! Yep. While the brewery hasn't yet come out and said it's canning, the boozy detectives at Beer Street Journal have a good feeling its 60 Minute IPA should be in can-form soon. You're basically forced to buy this beer on its brilliant name alone. It's one of ME's finest breweries making a bourbon barrel-aged Belgian brew with cold-pressed coffee. Athens, GA's Creature Comforts and Austin, TX's Jester King collaborated on a "Southern style farmhouse lager" that you can only get in a 750ml if you go to Athens. Or you know someone in Athens who will send you some. Stone and Arrogant Brewing are basically the same company, though their beers are released under different names. 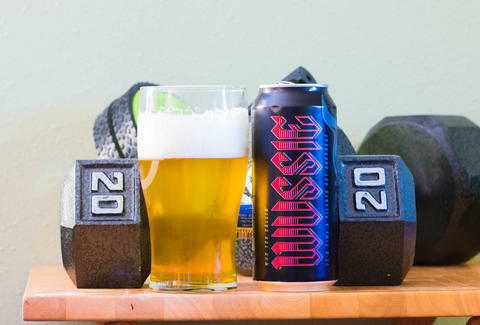 Now you can get 16oz tallboys of Who You Callin' Wussie, a hearty Pilsner that comes in a can that's totally metal, both literally and figuratively. Lee Breslouer is a senior writer for Thrillist, and can't wait for Dogfish in cans. Follow him to beer heaven: @LeeBreslouer.